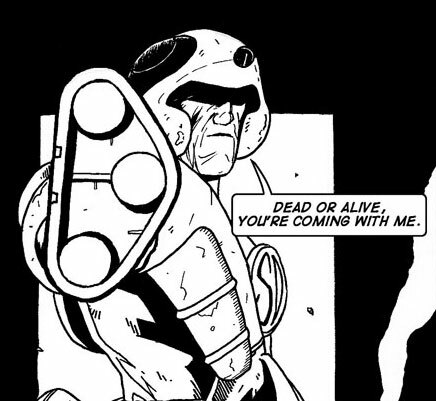 In ‘The Chase’ Judge Dredd has some stomm to deal with- and he does it well. 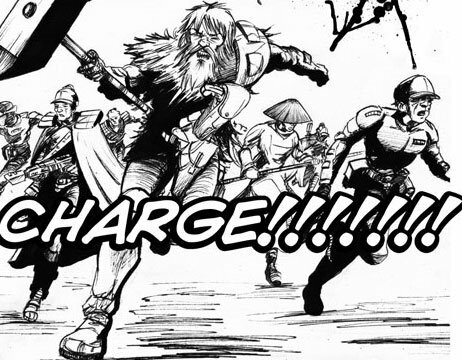 In the long prepared ‘One-Hit’ We get to see a taste of what happens to new recruits to the Star Troopers. Search Destroy Case File 3. Judge Dredd- Minor offences by Colin dinnie and Chris Geary, colour on the centrespread by MiniBolt. ‘Final Flight’ is a Future Shock by Chris Thomas and John Cahill. Something we’ve been planning for a while is now starting to happen! 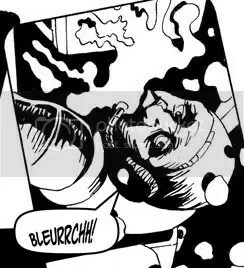 If you use the FQ site at all you will be aware that the strip viewer is a bit of a cumbersome beast, and that you have to read a whole issue. Not no more you don’t! 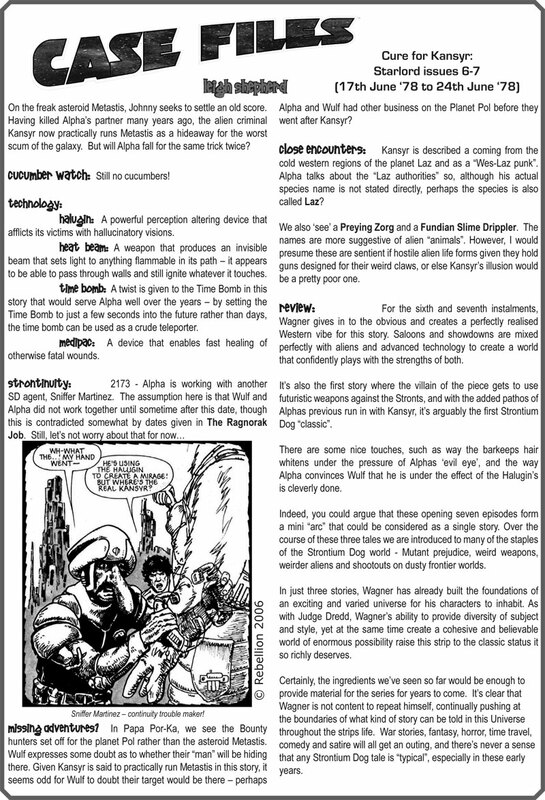 Thanks to webmeister Barny you can now read individual strips! You see the little white lines with the Strip title in? Click on one and you can read the strip! Wicked eh? 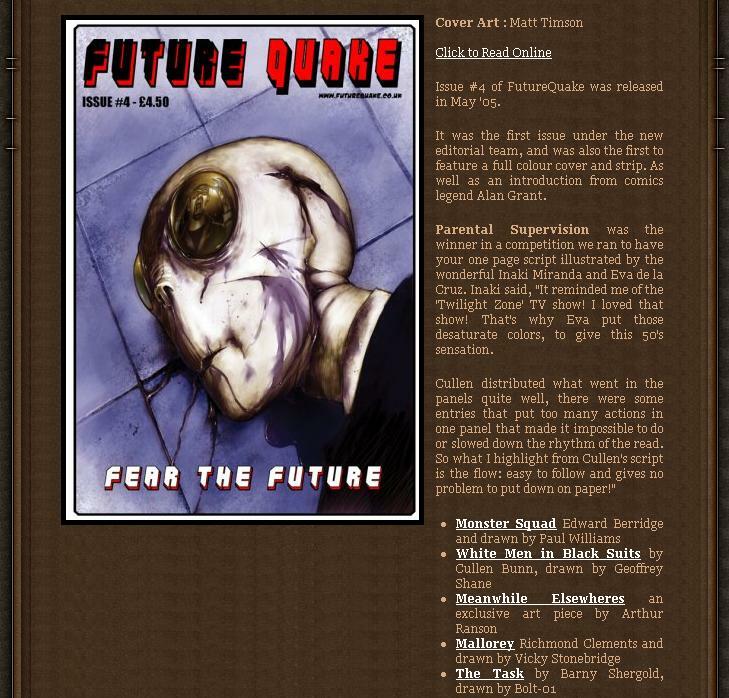 So far there are only FQ04 and 05 available, but over the next few weeks and months I’ll be updating the pages for all of the issues that are now out of print. 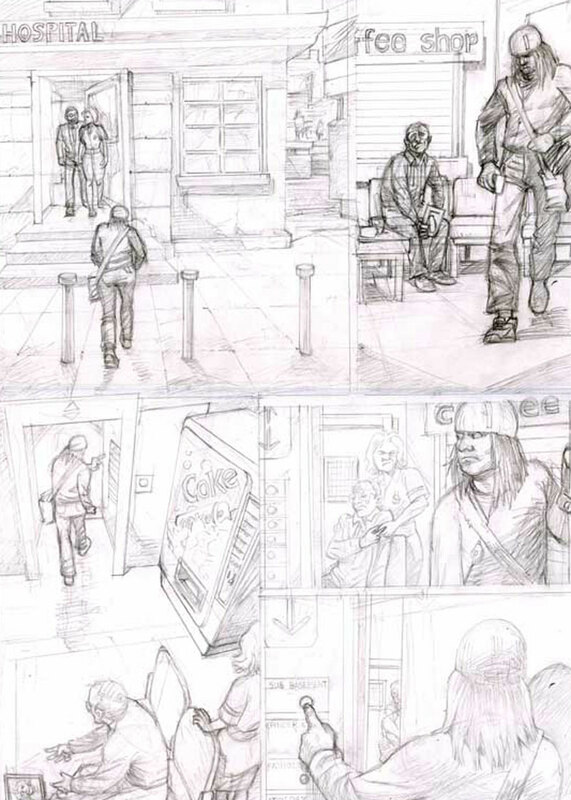 2 pics of pencils from John Cahill’s work on ‘Graveyard Shift’ written by Chris Lynch. In the opening strip for this issue, Johnny Alpha is on the trail of a most unusual pair- even for him. 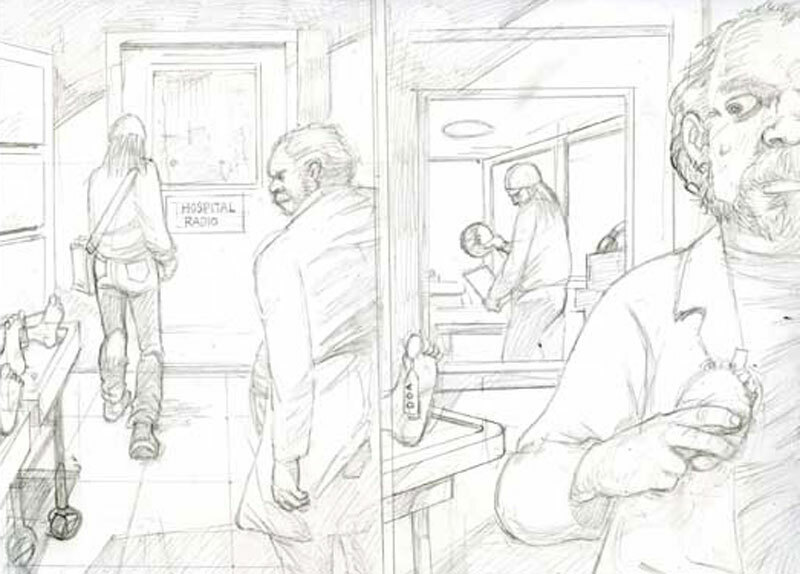 With an opening page by PJ Holden, the strip is brought to you by Eric Moore and Lyndon Webb. In ‘Another Silly Love song’ by Kevin McHugh and Steven Beckett, we get to hear an unlikely story of when Durham Red first appeared.